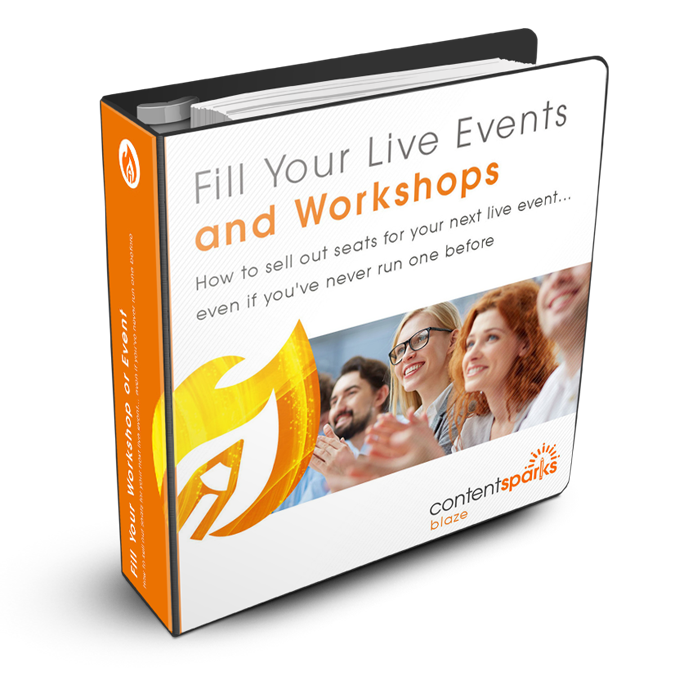 Are you dabbling with the idea of running a live workshop, seminar, or other live event? Or maybe you've already decided you want to do some type of face-to-face group experience, but you're not sure how to make it profitable? Well, you're certainly not alone in your fears! If you're running an event where you have guest speakers, you'll also get the opportunity to build valuable relationships with influencers in your field. And those connections can impact the success of any future venture you plan. The biggest challenge you face if you're new to live events is filling the seats! We've pulled together 10 proven tips that will help you guarantee a sell-out, profitable live event or workshop. Use as many of these as possible to up your odds of success. Why do you want to run an event and how will it help your business? Where does it fit into the growth plan of your business? 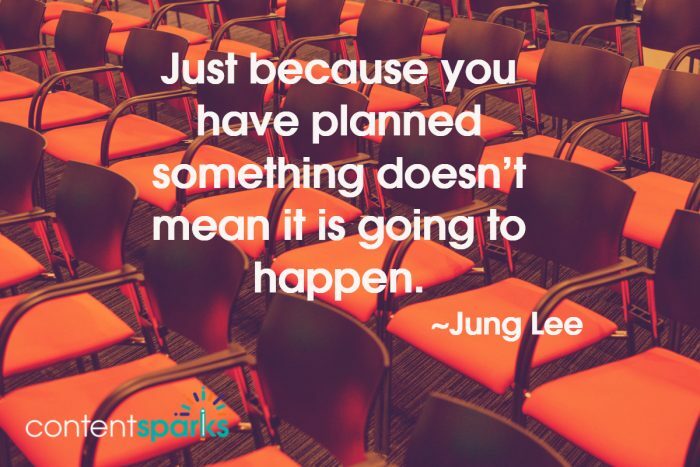 In other words, how will it impact your business goals? Who is your ideal target audience for the event? What problem or need do you want to address for your attendees? What do you want your attendees to walk away with? In other words, what will they have learned or be able to do? How will life have changed for them? Ask a selection of your best customers to give feedback in exchange for a discount on your workshop. This gives them the opportunity to tell you what they want or hope to get out of your event and eliminates some of the guesswork for you! It also means that you'll know who your hottest prospects are – who you can approach when it's time to register and sell tickets. Host a high-level webinar to gauge interest and narrow down your topic. A webinar will provide you with good feedback on both the level of interest and any specific questions around your topic that you’ll need to cover. You can also use this time to promote your live event to your ideal attendee. Ask those people who are interested if you can follow-up with them to get their feedback on the agenda for the workshop. Your workshop should have a professional, polished look and feel. This helps establish your credibility through professionally designed materials – including your website and presentation materials. If you don’t have great graphic skills yourself, hire a graphic designer to create branding specific to your event. Get sign-ups early on and increase conversion rates by reaching out to potential attendees personally. If they are close, meet up for a coffee date and invite them to the live workshop for your business. This gives you more insight as to what content to offer. Even better, it gives your clients a chance to ask questions that have been preventing them from registering. If clients aren’t close, reach out to them via phone or email. To get people signed up in advance, try offering an early registration discount. Some other incentives include giving away a free ebook, free checklist, or free 30-minute consultation to those who sign up early for the event or workshop. Make sure the size and expense of the event match your budget. For example, if you want to make $5,000, you want to make sure the cost of the venue doesn’t exceed your profit goals. For an effective workshop, you may choose to have 10 attendees vs. 100 attendees. An intimate setting allows you to spend more quality time with each person and increases the value they receive. You’ll not only save money hosting the event, but can charge more due to the high level of personalization. A guest speaker can help you cross-promote your workshop, giving you access to a greater pool of potential attendees. A guest speaker will also increase your credibility while taking a bit of the pressure off you. Make your workshop stick out by having some fun! People learn best when they are in a relaxed, fun environment. Even though the content of your event may be business related, nothing says it has to be serious and formal. Try adding a cocktail hour into the live workshop for your business, so your attendees can network and make new friends and contacts. Think about past workshops or other events you’ve attended. What motivated you to sign up? What tips will you follow to get your clients to sign up for your own event? Want to learn more or teach others how to fill seats at events and workshops? 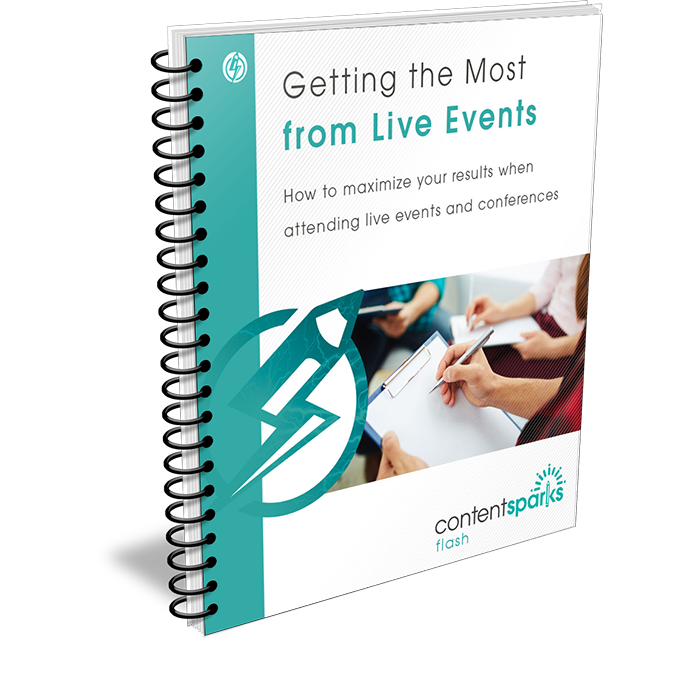 Want to make sure your participants get as much value as possible from attending your live event or workshop? When you purchase a license to our brandable, done-for-you content, you get the rights to edit it any way you want, add your name and branding, and sell or share it with clients, customers, and even prospects!